Tested the readout noise of this uncooled camera and found it to be ~2e-. The linearity of the light response seems completely perfect. 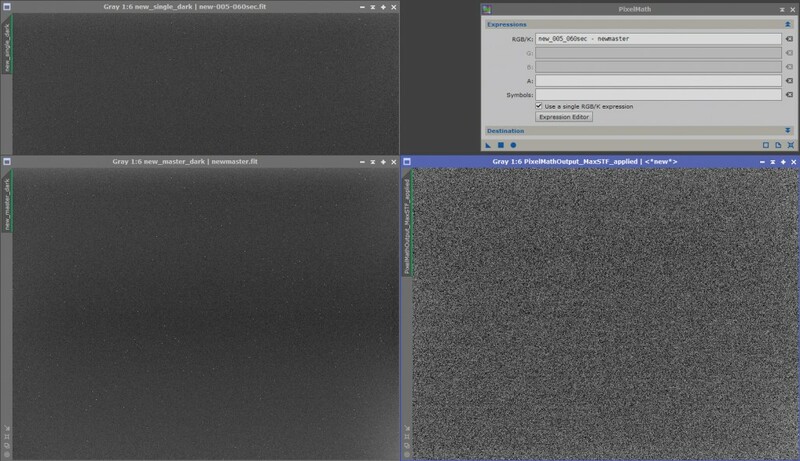 I have only tested the readout noise of the camera at the unity-gain and found it to be ~2e-. Final resolution – camera back from repair. Fixed as replacement camera. My new camera does not exhibit the dark frame calibration issue. Now, when I create a master dark from a set of single dark frames and then subtract this master dark from any of the single darks and do a STF_Max stretch in PixInsight, I can no longer spot the remaining amp-glow! 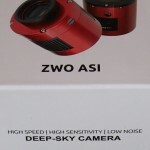 At the same time, I have tested two new ZWO ASI1600MM that I ordered for my friends, and both these cameras were OK with regard to dark frame calibration and amp-glow removal. Heureka. Now I need to decide if I keep the QHY163M or just replace it by something else that will not have QHY in name. 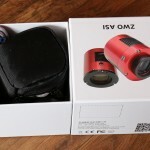 I decided to sell all QHY items that I ever had and never want more to own their products – I have said this already two times in the past so for now – for the 3rd time – never more QHY (at this time I am more than happy with the „red Chinese camera maker“ ZWO). Not removed amp-glow on the bottom left image. 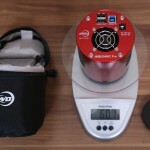 Up to now, I replaced my spare (for the case) QHY5III-178m (blue) for a ZWO ASI290mm (red) to in-line all my equipment for ZWO (red) and Moravian (black) brands. when I already have (had) Moravian G3-11000 a full-frame (36x24mm) monochromatic „beast“ that performs so well? Because I wanted a newer technology (Sony IMX094 CMOS chip) and even could afford to have an OSC (color) chip if and only if the pixels are small so as I do not have to sacrifice the resolution (in sense of detail – image scale) and final pixel count – width and height after a 50% scale down. And I wanted a camera with really fast download time of single raw frames. And since I mainly shoot LRGB/RGB (color) images of nebulae and dust (faint DSO objects) in real colors then a color camera might do just well. Last, but not least, it could also be a nice device for photography of comets as they typically move very fast and it’s a hassle to switch the color filters (Red, Green, Blue) all over again with a monochromatic camera. And, I anyway wanted yet another 36x24mm camera for a second setup. As I was probably the first customer of their final product (no beta) I was missing the CD with drivers (but who actually has a CD drive these days – a flash USB stick would be better – as e.g. Moravian or ASA provides) and printed short manual – quick start guide. But all this can be easily found and downloaded from the website of ZWO. 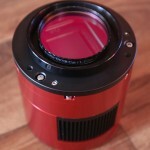 Then there was the camera body, nice, round and in typical red color – looks beautiful. The camera was in a soft protective bag. Then there was a hex key wrench for the tilt adapter, USB 3.0 cable, some USB 2.0 short cables for the USB hub that’s on the back side of the camera and two M54x0.75 to something (M48) adapters of various length and a threaded cap on the camera protecting the chip, actually the optical window. This task was quite straightforward as there’s only one main driver for all ASI cameras and hence you need to download the ASI cameras driver setup and ASCOM driver to control the camera from a 3rd party control software. When I plugged the USB (and later the extra power cable – taken from my G3-11000) I managed to connect via ASCOM driver to the camera and took some initial frames – biases and dark to see how the camera operates. Everything was just fine, clean bias frames and uncooled 60 seconds dark did not show any amp-glow – was simply looking good. I was shocked by the pixel resolution though! The camera, as every CMOS camera, offers variable gain settings. I am happy to see that there’s no offset setting available for the user – it just make things too complicated for a newcomer. And there’s only one reasonable offset settings – to not clip the dark part of the data (left part of the histogram). I assume that I will operate the camera with two main presets. 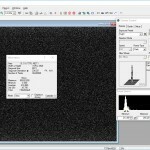 For typical DSO imaging I plan to use the unity gain settings and nothing else. And for imaging of comets where I need shorter sub-exposures I will use the high gain settings (lowest readout noise settings). I do not plan to do any narrow band imaging with this camera even though it might be possible with either Ha filter or OIII filter or some CLS/ultra high contrast filter. 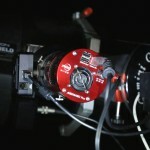 For narrow band imaging I plan to use a different CCD or CMOS camera. One needs to know the back focal distance of the camera. That is, the distance from the chip surface to the front part of the camera body with the M54x0.75 threads. 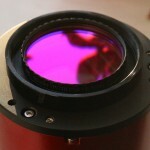 It is 17.5mm – typical value for many (but far not all) ZWO ASI cooled cameras. 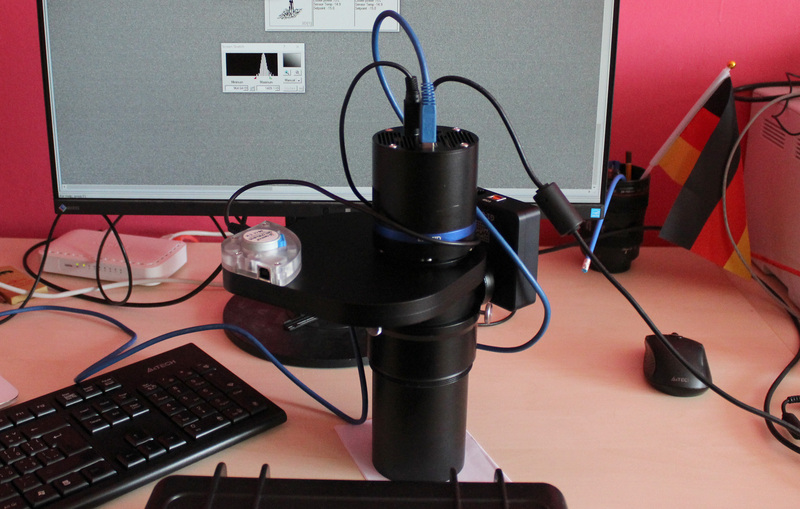 First thing needed is the adapter to connect the camera to my imaging system, that is, a ASA 3″ Wynne corrector and ASA’s Off-Axis-Guider. For this, I had to design my own set of adapters that I have custom made by a friend of mine (precise work for 10% of the price that the big companies ask for). I have designed a copy of the ASA Wynne corrector to M54 threads adapter and designed a „pech“-threaded spacer (extension tube) and finally a „pech“-thread to M54x0.75 male threads to fit the camera. The camera has M54x0.75 female threads for attachment to the telescope (corrector lens). In my design I settled on the „pech“ threads as M60x0.75. The final part that threads to the camera contains one extra M48x0.75 inner threads so as I can screw-in a typcial 2″ filter right in front of the original AR-only coated optical window – this way I did not have to modify the camera – open and replace the original glass with a UV/IR one. In my case, I put the Baader UV/IR cut 2″ filter in there so everything was perfect and ready for astrophotography. Unfortunately, on my first night out I realized that I missed the focus position, my spacer was too long. After having this fixed a yet another clear night came! and voila! I reached the focus. Moreover, I was impressed that my telescope seems to be collimated (still) well enough and that the camera doesn’t seem to show any tilt of the large CMOS chip as I managed to get reasonably sharp stars within almost full field of view of my setup! Great. That’s why I actually decided to shoot open clusters, to give it a try to shoot an image full of stars (instead of my typical nebulae work). In the couple of nights I have been using the camera I was very happy with the simple operation and no need to change R, G, B filters and whole night calculate how many subs in which filter color I need to shoot more and being afraid that if clouds come or something happens to go home without e.g. blue set of data. No single frame lost, no issues during imaging and no dewing of the chip! I always work in the fields where an insanely high relative humidity occurs every single night – my RH meter shows typically 90 to 93% and everything is covered with water drops. This was one of my biggest fear apart from the tilt of chip that I observed in every camera I had in the past and always had to point the manufacturer to pay attention to this. 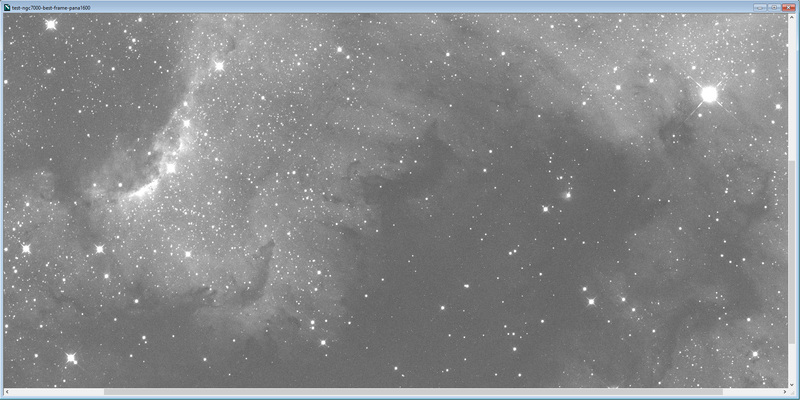 So far, I managed to get data for IC1848 – Soul Nebula, ASASSN Comet next to a DSO object, NGC884 and NGC869 Clusters and IC417 – capture of data still in progress. 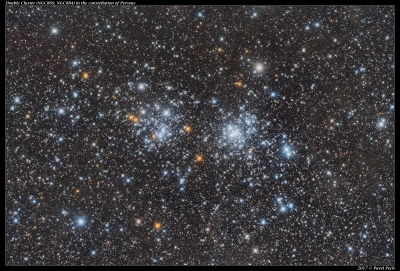 As I am totally busy, I managed to post process only the double cluster image. It’s just a collection of some 45 subs of 5 minute duration. 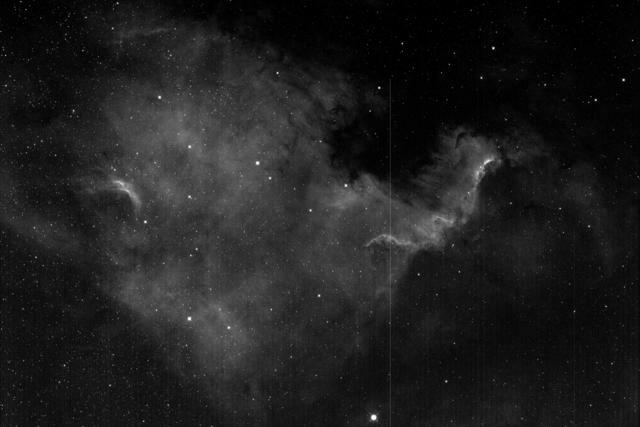 If the viewer’s LCD screen is calibrated well enough and one adjusts the brightness a bit there could be spot some faint dust (nebulae) in the image – this is very rare, I have not found any (many – apart from one H-a enhanced) images of such deep capture of the star background. Measured only the weight of the camera without the cap – 601 grams. For full list please see the maker’s website. it’s been a long time since I was so excited about a new gear! a single raw FITs frame has huge 69 Megabytes! If there’s UV-IR cut filter installed instead of the AR-only glass on the protection window (as this is a color camera and therefore everybody will need it for astrophotography) then I’d have to give the final rating 100% The lower delta cooling is not a big deal as it might seem. And, because of the large files you may need to update your computer or get extra HDD space for the dark frame library (BTW debayered single color image has over 200 MB). 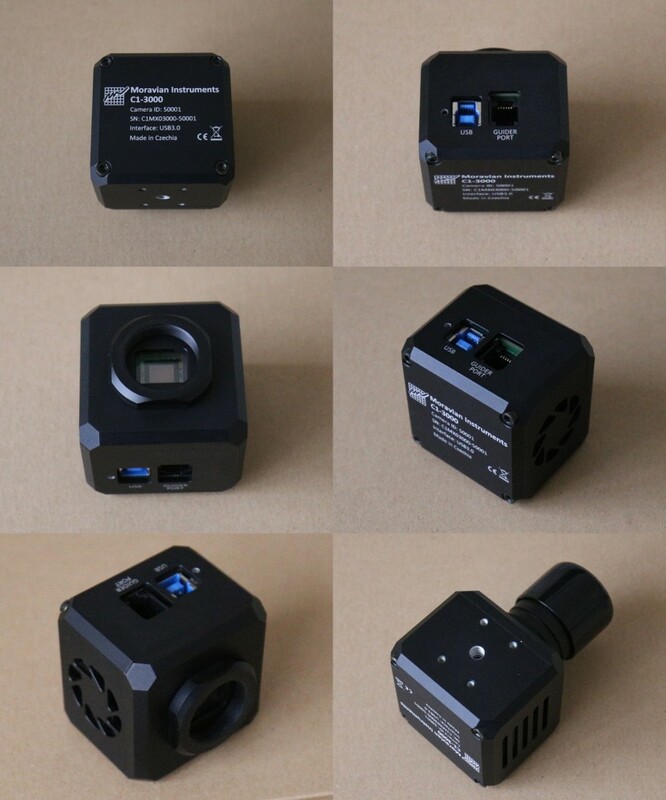 A minor „con“ is that’s an OSC camera, but I think it’s the best 36x24mm camera for astrophotography on the market today. No reason to get any modified version of DSLR or mirror-less DSLR (I love those!) 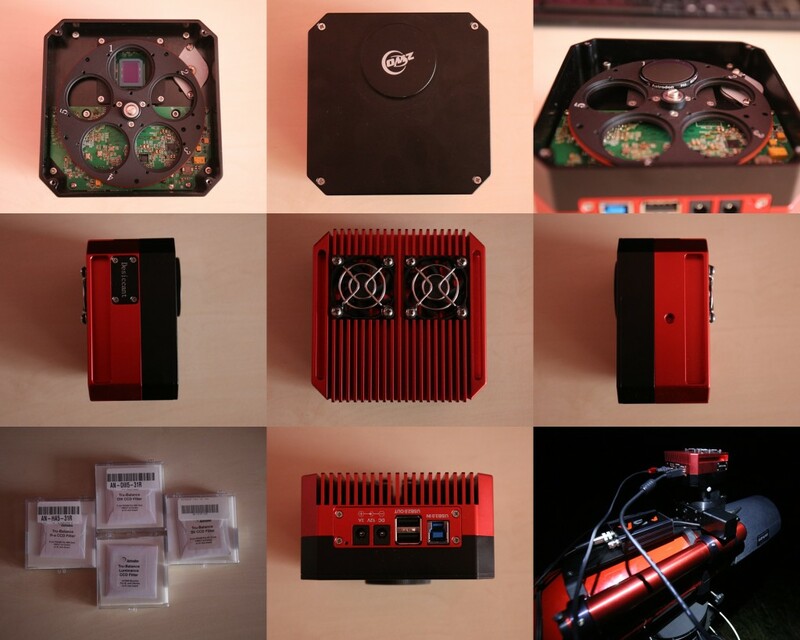 for astrophotography and fiddle with custom made cooling. 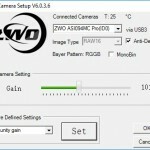 This ZWO camera has it all (cooling, custom filter and direct ASCOM driver). 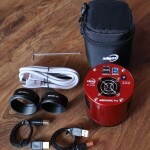 There could also be the 12V car-plug power cable (of a length of 3 meters) included in the box. It’s needed for the TEC cooler and suprisingly it’s not part of the package (as historically, the ASI cameras were mainly used for solar system imaging or autoguiding where only an USB cable is needed, not meant as hi-tech cooled DSO cameras like nowadays). And I have never got any corrupted frame downloaded from the camera probably due to the integrated DDR3 image buffer to readout the data from the chip as soon as possible and then safely transfer the image to the computer. Even if I downsize the image to 50% scale I end up with 9 megapixel resolution! The heating of the optical window works just well and that’s a great news. The chip in my camera was perfectly square/perpendicular to the front of the camera so I did not have to mess with the tilt adapter. Exact readout noise value is really not important at all for a color camera as long as this value is low, which is, in this case (about 2.1e- according to the specifications). 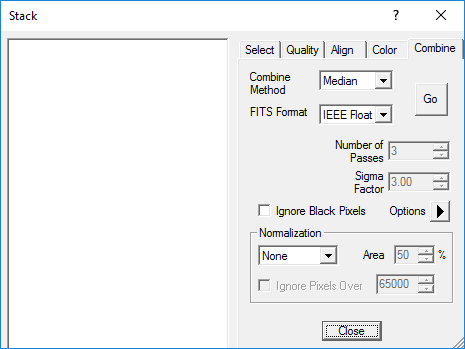 Anything < 5e- is just great for RGB imaging. 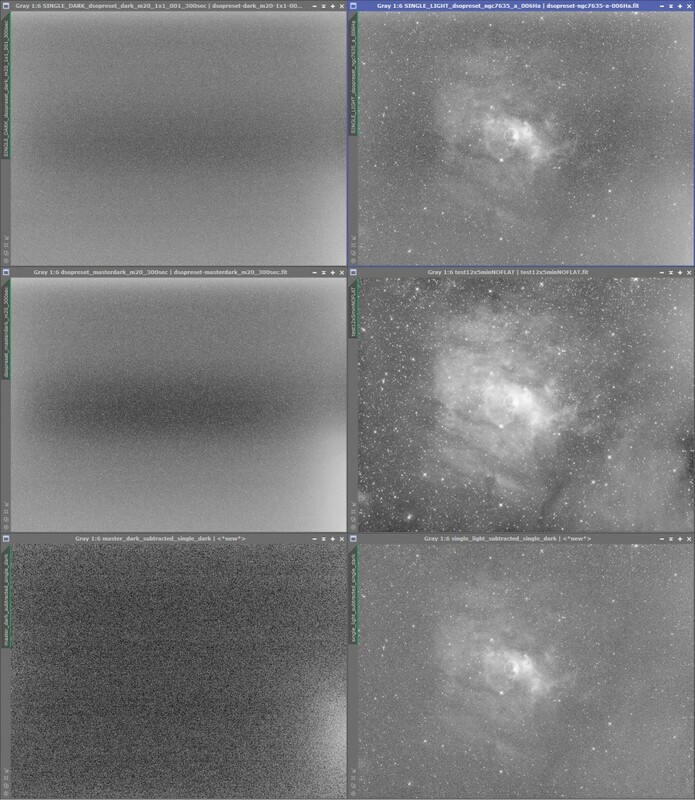 The fast readout of the whole 36Mpix image saves me a lot of time when shooting flat field calibration frames in the morning after an imaging session compared to a KAI-11002 CCD camera which required more than 30 minutes more for 3 sets of flat field frames. Thanks to the round body it doesn’t interfere with my guide camera in the off-axis-guider. Only a camera with latest full-frame BSI CMOS chip, Sony IMX251 having 42 megapixels (remember it’s a BSI and therefore the small pixels do not have the typical low sensitivity handicap) or some future big mono camera will outperform the ASI094MC Pro. In order to post-process the RAW images obtained from this great camera, I had to update my main computer for astroprocessing. So far, I’ve been able to get around with a laptop (processing data from 11Mpix camera). But with these beautiful 36Mpix, I need a new workstation. Therefore, I purchased the best available PC at the moment (so that the next best CPU or other component costs twice if it is just a bit better). One may count with some 2.500,- EUR for that. See a PixInsight benchmark of my machine: Intel Core i7-7820X (8-Core, run @ 3.6GHz), HyperX 32GB KIT 3600MHz DDR4 CL17 Predator (4x8GB quad-channel, run @ 3200MHz), NVMe Samsung 960 PRO. I am positive and open minded! Everything „bad“ is good for something else – let’s learn lessons and be stronger, better, smarter, experienced and full of hope that next time it will be OK (either I am an „idiot“ or maybe I just have insane patience – proved by the fact that I love to do astrophotography for about 8 years now which is quite a long time considering how much frustration this hobby brings). But, unfortunately, after I got my repaired QHY163M back from China and captured (finally) some light frames I discovered a calibration issue – no need to mess with flats, just calibrating a single light with a single dark did not remove the amp-glow. I have just recently sent the camera back to China again, for another repair. Everybody can test his CMOS camera easily. Just take some 10 dark frames (at the same conditions). Create a master dark frame. Then, in the PixelMath, subtract the master from one selected (random pick) single dark frame. Max STF stretch it and see. You shall not see any amp-glow left, only a pure gaussian noise in the image (well, very, very subtle traces of amp-glow could be detected under certain, specific conditions, but really a fully working dark frame calibration must be able to remove it in an adequate way!). never thought this can ever happen! As I am paranoid about precise calibration (to get the best results afterwards), I’d never expect this to be the case with me. 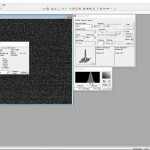 By a pure luck – using PixInsight’s STF and STF max function – to check that calibration of single frames (that I perform always in MaxIm DL Version 5.10) is correct I have (with help of a friend of mine who actually discovered the issue) found out, that at least for last couple of years I had an issue in the master darks and therefore in the calibration process. What was done a wrong way? Simply see following two images. One would not believe that it makes a difference! 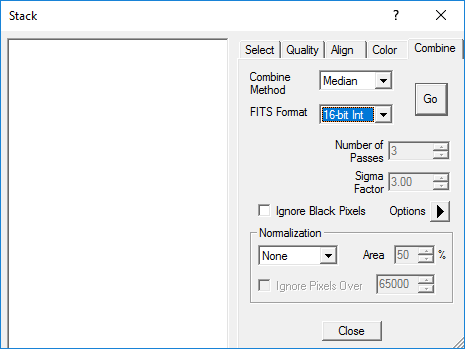 Checked with PixInsight’s PixelMath, when a single dark frame (instead of master dark frame) was used for both light frame calibration and flat field calibration, the issue observed was fixed. Strange! That meant I have constructed the master dark in a wrong way and this was not observable in MaxIm DL even after a huge (but linear) screen stretch. Thank’s to PixInsight’s STF I could have detected this minor (it’s very few ADUs) imperfection. From now on, I know that I must never save the individual master dark frame in MaxIm DL as IEEE float, but always construct it as median from Integer values. Positive outcome is that I can calibrate my last-year-taken data with a new set of master dark frames (hoping in better images then). Well, once I wanted to make a deep comparison article for my blog. But in the end, I was unable to gather reasonable data to do any meaningful comparison. It was also because of my-only issues with the CMOS camera. To post at least something I’d like to say my conclusion – thanks to the even much lower readout noise of the Panasonic chip the CMOS beast is very, very capable and can perform as well as the superb ICX694 chip from Sony (high QE, low noise, low dark current, few hotpixels ever, no calibration needed). With the CMOS one needs to do a precise calibration and due to having only 12-bit ADC a stack of large amount of single frames is essential (as well as appropriate settings of the gain/offset values to get the best performance for given conditions). From the $$$ perspective, no surprise that it has become so popular. Having the direct experience with carbon tube newtonians (zero focus shift during the night), precision of ASA focuser, quality of image (spots and almost real apochromaticity) produced by a superior coma correctors I have decided to have an own, small, ultra portable „refractor“ (best refractor is, for me, a custom built reflector) to be build. I have also considered to get the nice Vixen VSD 100 F/3.8, but for the price… knowing it won’t hold focus and won’t give small spots in the very corners of a large, smallish pixels camera, I managed to persuade myself to not go that route. 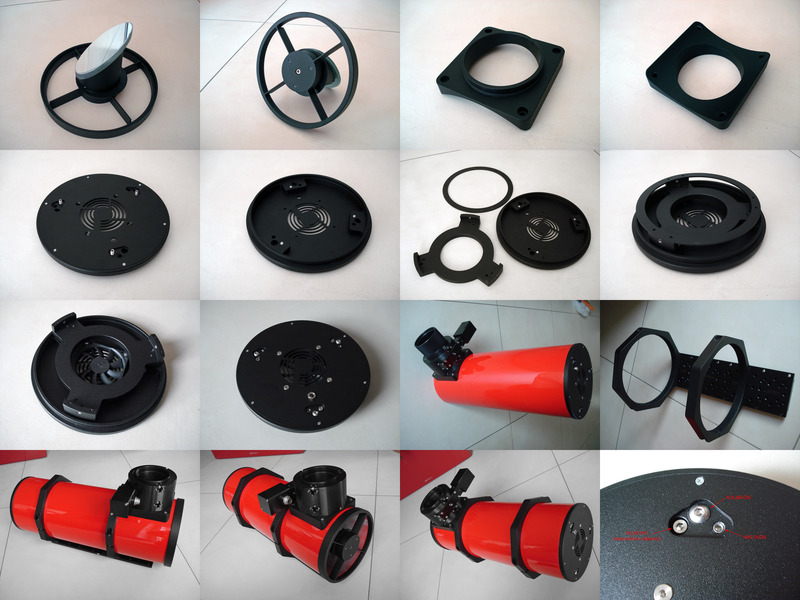 The first thing I’d do with that would be a focuser upgrade anyway (for this scope I’d see a FLI’s Atlas as the right choice) which asks for almost 8K of money and still a lot of homework and custom built adapters. The goal was to have zero vignetting – that could only be achieved by sacrifying the speed of the objective (F-stop) and the only option was a Paracorr VIP 3″ from TeleVue to get the focal plane out of the tube. I was assuming to get an effective F/5.6 objective (after including loss due to the large central obstruction from secondary mirror) that would have almost zero vignetting (goal met) and give reasonably great (good) star shapes in the very corners of a 36x24mm camera (goal not met). Unfortunately, it turned out that the Paracorr is NOT suited for short focal length telescopes (below 900mm). I have had a call with Al from TeleVue on this matter for over a quarter of an hour and got a few days later e-mail response that there’s no remedy to this. Therefore my project for almost 4K of money failed. I have got this camera as a Christmas present in 2016 intended to be a replacement for previous QHY5II-L model used as a spare guide camera (therefore not really used at all). I have used it for the first time in my OAG, instead of my typical Moravian G1-301, to give it finally a try in June 2017. Result? It was really great, notably more sensitive than the 5II-L model which was far superior to any of the previous QHY5 or QHY5II models. Thanks to the BSI type of sensor (back side illuminated where the photodiodes do not occupy any space in front of pixels (are located on the other side) and thus making all photos fall to the pixel area, effectively using whole surface of the chip) and small pixels, variable gain, it would have been a great guide camera that is, moreover useful for some planetary and Moon work. BTW as of today, I have just sold this one (after issue #2 with QHY163M) and plan to replace it with ZWO ASI290MM Mini that I hope to use, one day, for a „basic and beginner’s“ shots of the Moon’s surface (as I still keep a Sloan z’ filter with 820nm+ bandpass).